Even as the dead sea can be made alive because of fresh, living water flowing into a salt sea in ever-increasing volume, people who are dead in their sins can also be made alive. In human terms, however, we too often think that we are alive; we have not comprehended that we are already dead in this flesh. 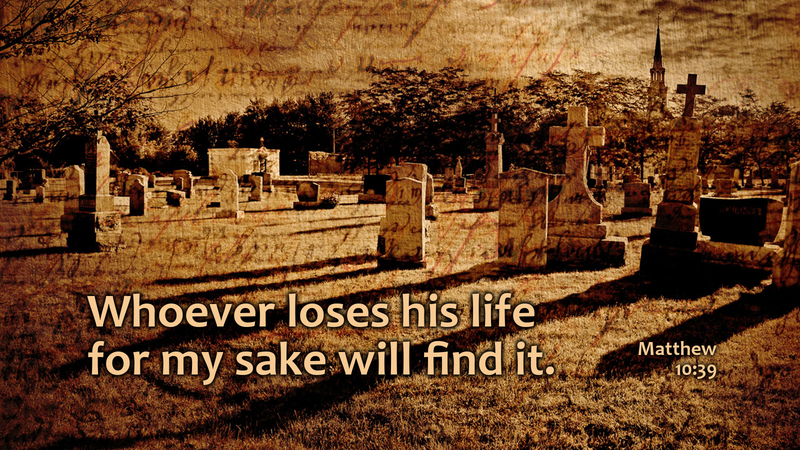 But if we take up our cross, if we take hold of that death, and follow Jesus, we will find new life. The regeneration of the lifeless—both the sea and the human—comes flowing out from God, from the threshold of the temple. The Messiah has laid down his life for us, given his life for the dead, so that we may live. God has been reconciled and now, his Spirit flows from his throne to regenerate those of faith, those who have passed out of death into life. Prayer: Lord, make me alive in you. Amen.